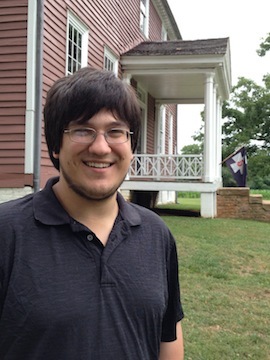 Ryan Quint graduated from the University of Mary Washington, and is a seasonal park historian at the Fredericksburg and Spotsylvania National Military Park. His research focuses on the Battle of Monocacy. “Jackson’s Flank Attack Reconsidered.” That Furious Struggle: Chancellorsville and the High Tide of the Confederacy, May 1-4, 1863 by Chris Mackowski and Kristopher D. White. Savas Beatie, 2014. “Pipe Creek Line.” Fight Like the Devil: Fight Like the Devil: The First Day at Gettysburg, July 1, 1863, by Chris Mackowski, Daniel Davis, and Kristopher D. White. Savas Beatie, 2015. “Ambrose Burnside, the Ninth Army Corps, and the Battle of Spotsylvania Court House,” The Gettysburg College Journal of the Civil War Era: Vol. 5, Article 7., 2015. I am trying to get in touch with Ryan Quint for a major civil war project on which I have embarked. Please have him e-mail me at michael@wandtua.com. Thank you.